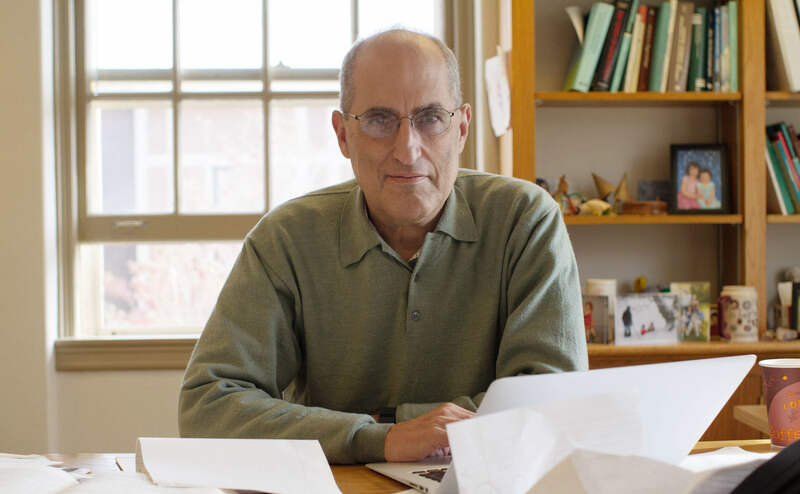 Among the brilliant theorists cloistered in the quiet woodside campus of the Institute for Advanced Study in Princeton, New Jersey, Edward Witten stands out as a kind of high priest. The sole physicist ever to win the Fields Medal, mathematics’ premier prize, Witten is also known for discovering M-theory, the leading candidate for a unified physical “theory of everything.” A genius’s genius, Witten is tall and rectangular, with hazy eyes and an air of being only one-quarter tuned in to reality until someone draws him back from more abstract thoughts. During a visit this fall, I spotted Witten on the Institute’s central lawn and requested an interview; in his quick, alto voice, he said he couldn’t promise to be able to answer my questions but would try. Later, when I passed him on the stone paths, he often didn’t seem to see me. Physics luminaries since Albert Einstein, who lived out his days in the same intellectual haven, have sought to unify gravity with the other forces of nature by finding a more fundamental quantum theory to replace Einstein’s approximate picture of gravity as curves in the geometry of space-time. M-theory, which Witten proposed in 1995, could conceivably offer this deeper description, but only some aspects of the theory are known. M-theory incorporates within a single mathematical structure all five versions of string theory, which renders the elements of nature as minuscule vibrating strings. These five string theories connect to each other through “dualities,” or mathematical equivalences. Over the past 30 years, Witten and others have learned that the string theories are also mathematically dual to quantum field theories — descriptions of particles moving through electromagnetic and other fields that serve as the language of the reigning “Standard Model” of particle physics. While he’s best known as a string theorist, Witten has discovered many new quantum field theories and explored how all these different descriptions are connected. His physical insights have led time and again to deep mathematical discoveries. Researchers pore over his work and hope he’ll take an interest in theirs. But for all his scholarly influence, Witten, who is 66, does not often broadcast his views on the implications of modern theoretical discoveries. Even his close colleagues eagerly suggested questions they wanted me to ask him. When I arrived at his office at the appointed hour on a summery Thursday last month, Witten wasn’t there. His door was ajar. Papers covered his coffee table and desk — not stacks, but floods: text oriented every which way, some pages close to spilling onto the floor. (Research papers get lost in the maelstrom as he finishes with them, he later explained, and every so often he throws the heaps away.) Two girls smiled out from a framed photo on a shelf; children’s artwork decorated the walls, one celebrating Grandparents’ Day. When Witten arrived minutes later, we spoke for an hour and a half about the meaning of dualities in physics and math, the current prospects of M-theory, what he’s reading, what he’s looking for, and the nature of reality. The interview has been condensed and edited for clarity. Physicists are talking more than ever lately about dualities, but you’ve been studying them for decades. Why does the subject interest you? People keep finding new facets of dualities. Dualities are interesting because they frequently answer questions that are otherwise out of reach. For example, you might have spent years pondering a quantum theory and you understand what happens when the quantum effects are small, but textbooks don’t tell you what you do if the quantum effects are big; you’re generally in trouble if you want to know that. Frequently dualities answer such questions. They give you another description, and the questions you can answer in one description are different than the questions you can answer in a different description. What are some of these newfound facets of dualities? That’s the idea that space-time and everything in it emerges like a hologram out of information stored in the entangled quantum states of particles. Yes. Then there are dualities in math, which can sometimes be interpreted physically as consequences of dualities between two quantum field theories. There are so many ways these things are interconnected that any simple statement I try to make on the fly, as soon as I’ve said it I realize it didn’t capture the whole reality. You have to imagine a web of different relationships, where the same physics has different descriptions, revealing different properties. In the simplest case, there are only two important descriptions, and that might be enough. If you ask me about a more complicated example, there might be many, many different ones. Given this web of relationships and the issue of how hard it is to characterize all duality, do you feel that this reflects a lack of understanding of the structure, or is it that we’re seeing the structure, only it’s very complicated? I’m not certain what we should hope for. Traditionally, quantum field theory was constructed by starting with the classical picture [of a smooth field] and then quantizing it. Now we’ve learned that there are a lot of things that happen that that description doesn’t do justice to. And the same quantum theory can come from different classical theories. Now, Nati Seiberg [a theoretical physicist who works down the hall] would possibly tell you that he has faith that there’s a better formulation of quantum field theory that we don’t know about that would make everything clearer. I’m not sure how much you should expect that to exist. That would be a dream, but it might be too much to hope for; I really don’t know. There’s another curious fact that you might want to consider, which is that quantum field theory is very central to physics, and it’s actually also clearly very important for math. But it’s extremely difficult for mathematicians to study; the way physicists define it is very hard for mathematicians to follow with a rigorous theory. That’s extremely strange, that the world is based so much on a mathematical structure that’s so difficult. What do you see as the relationship between math and physics? I prefer not to give you a cosmic answer but to comment on where we are now. Physics in quantum field theory and string theory somehow has a lot of mathematical secrets in it, which we don’t know how to extract in a systematic way. Physicists are able to come up with things that surprise the mathematicians. Because it’s hard to describe mathematically in the known formulation, the things you learn about quantum field theory you have to learn from physics. I find it hard to believe there’s a new formulation that’s universal. I think it’s too much to hope for. I could point to theories where the standard approach really seems inadequate, so at least for those classes of quantum field theories, you could hope for a new formulation. But I really can’t imagine what it would be. You can’t imagine it at all? No, I can’t. Traditionally it was thought that interacting quantum field theory couldn’t exist above four dimensions, and there was the interesting fact that that’s the dimension we live in. But one of the offshoots of the string dualities of the 1990s was that it was discovered that quantum field theories actually exist in five and six dimensions. And it’s amazing how much is known about their properties. I’ve heard about the mysterious (2,0) theory, a quantum field theory describing particles in six dimensions, which is dual to M-theory describing strings and gravity in seven-dimensional AdS space. Does this (2,0) theory play an important role in the web of dualities? Yes, that’s the pinnacle. In terms of conventional quantum field theory without gravity, there is nothing quite like it above six dimensions. From the (2,0) theory’s existence and main properties, you can deduce an incredible amount about what happens in lower dimensions. An awful lot of important dualities in four and fewer dimensions follow from this six-dimensional theory and its properties. However, whereas what we know about quantum field theory is normally from quantizing a classical field theory, there’s no reasonable classical starting point of the (2,0) theory. The (2,0) theory has properties [such as combinations of symmetries] that sound impossible when you first hear about them. So you can ask why dualities exist, but you can also ask why is there a 6-D theory with such and such properties? This seems to me a more fundamental restatement. Dualities sometimes make it hard to maintain a sense of what’s real in the world, given that there are radically different ways you can describe a single system. How would you describe what’s real or fundamental? What aspect of what’s real are you interested in? What does it mean that we exist? Or how do we fit into our mathematical descriptions? Well, one thing I’ll tell you is that in general, when you have dualities, things that are easy to see in one description can be hard to see in the other description. So you and I, for example, are fairly simple to describe in the usual approach to physics as developed by Newton and his successors. But if there’s a radically different dual description of the real world, maybe some things physicists worry about would be clearer, but the dual description might be one in which everyday life would be hard to describe. What would you say about the prospect of an even more optimistic idea that there could be one single quantum gravity description that really does help you in every case in the real world? Well, unfortunately, even if it’s correct I can’t guarantee it would help. Part of what makes it difficult to help is that the description we have now, even though it’s not complete, does explain an awful lot. And so it’s a little hard to say, even if you had a truly better description or a more complete description, whether it would help in practice. Are you speaking of M-theory? M-theory is the candidate for the better description. You proposed M-theory 22 years ago. What are its prospects today? Personally, I thought it was extremely clear it existed 22 years ago, but the level of confidence has got to be much higher today because AdS/CFT has given us precise definitions, at least in AdS space-time geometries. I think our understanding of what it is, though, is still very hazy. AdS/CFT and whatever’s come from it is the main new perspective compared to 22 years ago, but I think it’s perfectly possible that AdS/CFT is only one side of a multifaceted story. There might be other equally important facets. What’s an example of something else we might need? Maybe a bulk description of the quantum properties of space-time itself, rather than a holographic boundary description. There hasn’t been much progress in a long time in getting a better bulk description. And I think that might be because the answer is of a different kind than anything we’re used to. That would be my guess. Are you willing to speculate about how it would be different? I really doubt I can say anything useful. I guess I suspect that there’s an extra layer of abstractness compared to what we’re used to. I tend to think that there isn’t a precise quantum description of space-time — except in the types of situations where we know that there is, such as in AdS space. I tend to think, otherwise, things are a little bit murkier than an exact quantum description. But I can’t say anything useful. The other night I was reading an old essay by the 20th-century Princeton physicist John Wheeler. He was a visionary, certainly. If you take what he says literally, it’s hopelessly vague. And therefore, if I had read this essay when it came out 30 years ago, which I may have done, I would have rejected it as being so vague that you couldn’t work on it, even if he was on the right track. You’re referring to Information, Physics, Quantum, Wheeler’s 1989 essay propounding the idea that the physical universe arises from information, which he dubbed “it from bit.” Why were you reading it? I’m trying to learn about what people are trying to say with the phrase “it from qubit.” Wheeler talked about “it from bit,” but you have to remember that this essay was written probably before the term “qubit” was coined and certainly before it was in wide currency. Reading it, I really think he was talking about qubits, not bits, so “it from qubit” is actually just a modern translation. Don’t expect me to be able to tell you anything useful about it — about whether he was right. When I was a beginning grad student, they had a series of lectures by faculty members to the new students about theoretical research, and one of the people who gave such a lecture was Wheeler. He drew a picture on the blackboard of the universe visualized as an eye looking at itself. I had no idea what he was talking about. It’s obvious to me in hindsight that he was explaining what it meant to talk about quantum mechanics when the observer is part of the quantum system. I imagine there is something we don’t understand about that. Observing a quantum system irreversibly changes it, creating a distinction between past and future. So the observer issue seems possibly related to the question of time, which we also don’t understand. With the AdS/CFT duality, we’ve learned that new spatial dimensions can pop up like a hologram from quantum information on the boundary. Do you think time is also emergent — that it arises from a timeless complete description? I tend to assume that space-time and everything in it are in some sense emergent. By the way, you’ll certainly find that that’s what Wheeler expected in his essay. As you’ll read, he thought the continuum was wrong in both physics and math. He did not think one’s microscopic description of space-time should use a continuum of any kind — neither a continuum of space nor a continuum of time, nor even a continuum of real numbers. On the space and time, I’m sympathetic to that. On the real numbers, I’ve got to plead ignorance or agnosticism. It is something I wonder about, but I’ve tried to imagine what it could mean to not use the continuum of real numbers, and the one logician I tried discussing it with didn’t help me. Do you consider Wheeler a hero? I wouldn’t call him a hero, necessarily, no. Really I just became curious what he meant by “it from bit,” and what he was saying. He definitely had visionary ideas, but they were too far ahead of their time. I think I was more patient in reading a vague but inspirational essay than I might have been 20 years ago. He’s also got roughly 100 interesting-sounding references in that essay. If you decided to read them all, you’d have to spend weeks doing it. I might decide to look at a few of them. Why do you have more patience for such things now? I think when I was younger I always thought the next thing I did might be the best thing in my life. But at this point in life I’m less persuaded of that. If I waste a little time reading somebody’s essay, it doesn’t seem that bad. Do you ever take your mind off physics and math? My favorite pastime is tennis. I am a very average but enthusiastic tennis player. In contrast to Wheeler, it seems like your working style is to come to the insights through the calculations, rather than chasing a vague vision. In my career I’ve only been able to take small jumps. Relatively small jumps. What Wheeler was talking about was an enormous jump. And he does say at the beginning of the essay that he has no idea if this will take 10, 100 or 1,000 years. And he was talking about explaining how physics arises from information. Yes. The way he phrases it is broader: He wants to explain the meaning of existence. That was actually why I thought you were asking if I wanted to explain the meaning of existence. I see. Does he have any hypotheses? No. He only talks about things you shouldn’t do and things you should do in trying to arrive at a more fundamental description of physics. Do you have any ideas about the meaning of existence? Correction: This article was updated on Nov. 29, 2017, to clarify that M-theory is the leading candidate for a unified theory of everything. Other ideas have been proposed that also claim to unify the fundamental forces.